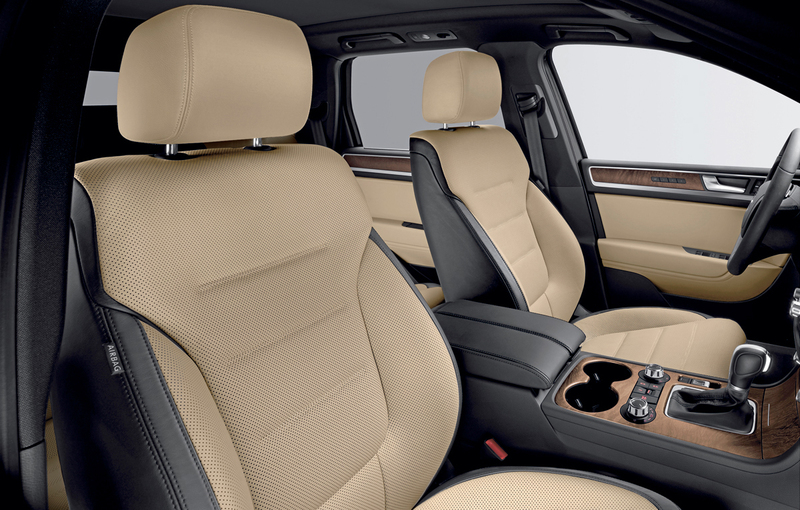 I admit that this is not the first time we talk about the Exclusive equipment package available for the 2011 Volkswagen Touareg but now we can go more deep in the details as the Germans at Volkswagen revealed new details on this new equipment package developed for Touareg. The price announced is €58.150 for the V6 TDI BlueMotion Technology but any of the engine options can fit this equipment package. From the beginning it should be mentioned that this package is available only on the German market. 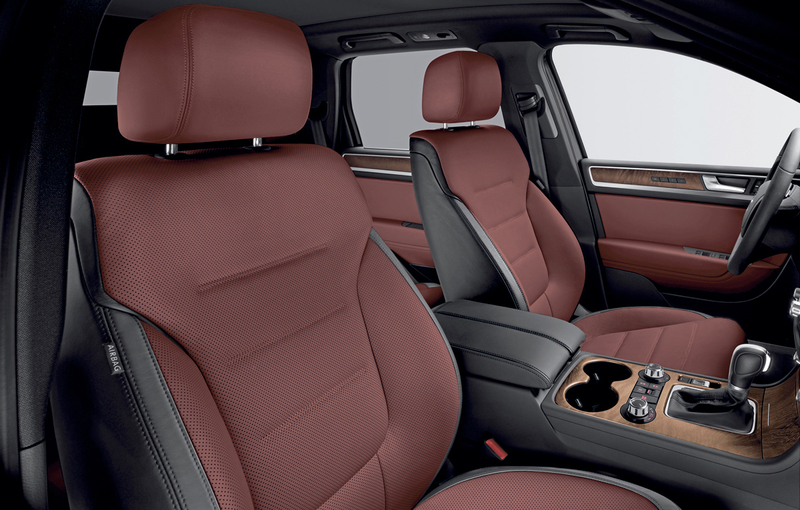 It comes with several improvements at the interior and also few touches outside. Three 19 to 20-inch new rims are available at the exterior together with the new steel side sills while at the interior we face more improvements. 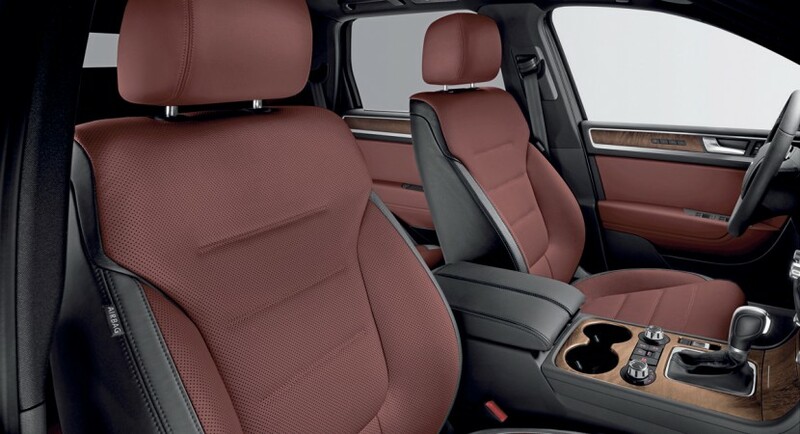 Inside, a beige or a burgundy Nappa cool leather is fitted together with the olive wood trim but also a new roof is available for the Exclusive package.